Merry Christmas! 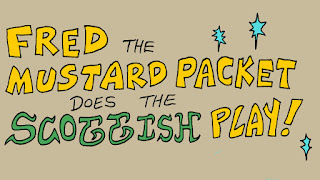 Enjoy Fred the Mustard Packet w/ an Unrelated Christmas Page! 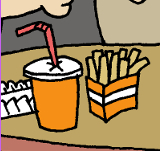 Click the above link, click on today's post, scroll a touch more than usual, and enjoy a Christmas bonus comic. Carry a piece of paper and something to write with as frequently as you can. Wait, what am I talking about? Let me rephrase that. Make sure that your smart phone has a note taking app that’s ready to write at any point of your day. On a deadline, yes, you can force ideas to come to you in very active ways. However, it’s good to never be in the dark place in which a deadline is looming and ideas are sparse. Here’s how we avoid that. You write down any idea that you have in the heat of the idea’s moment. It may not be a full idea, it mostly won’t be a full story either. It’s most likely going to be a fraction of a concept. Whatever it is, write it down. It can be fleshed out and refined later. I once just wrote down the idea, “The Presidents of Mount Rushmore mock our education system.”, and I just now wrote down the phrase, “Shaolin Magpies”. Let’s transport ourselves to that situation in which you’re the writer and a deadline is heading your way with the pedal to the metal. How do you break out of the creative rut and get an idea quickly? Right now, write a list of ten words in one minute. Time yourself. No cheating. Write down that list in a minute or less. That list took me fifty-three seconds to write. It’s not a great list. There’s a lot of garbage here. Now, here’s the challenge. Take two of your list items and combine them, and there’s an idea that you can work with. In fact, I have a number of ideas here. I can write a script about the Robot Monkey, Super Idiot, the Amazing Sumo, the Fire Flamingo and more. Throw your judgement away. That is the number one thing that’s holding you back from completing your script. We live in a world where one of the most popular television shows of all time has a sponge for a protagonist and one of the most popular sci-fi films today features a talking raccoon. Many intellectual properties look like pure insanity before it gets released to the audience. Let the audience decide how great it is. Don’t stunt your own growth, just because something seems strange and unusual at first. Here’s another point to take home with you. Most likely, you will not be defined by a single puppet slam piece. People will mostly see your true self as a creator through your larger body of work. So, keep creating. Once you’ve written your first script, the best thing to do is to write the next one. Also, seek to slightly improve with each page of each script. But, I still don’t have any ideas. OK, take a toy or a drawing or a hammer, and set it on a table. Now describe the weather to that thing. Imagine the response that you would get from that thing if it could talk back at you. Now, you respond to that response, and now imagine it responding again. Do this over and over again, and repeat until you have an ending to the conversation. Write the imagined conversation down.There you go. You might even have a finished script. Most likely, you will have a first draft. At the very least, you will have a basic idea. 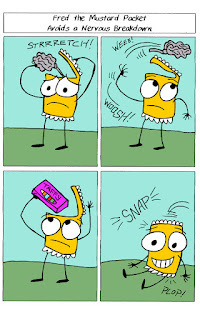 How much comedy can happen in a conversation between a person and a talking hammer? This method works very well if you have a creative partner. Bouncing around lines of potential dialogue and improvising with a collaborator can quickly lead to a new script. That’s weird. Also, I still don’t have an idea. No problem. Hey, you like stories. You like theatre, you like puppet shows. Some genres will be to your liking. So, pick your favorite genre, and make a spoof of that genre. People tend to easily spoof genres that they love, because they know the tropes that typically go into that genre. Do you love horror? Make a spoof horror story for your slam piece. Since you know horror very well, you know all of the things that need to be mocked. Your script will be hilarious. Also, all of the horror fans that will end up in the audience will love you for your slam script. The same would be true for westerns, combat stories, fantasy, sci-fi, romance, etc. Consider the fractured fairy tale approach. Take an old, well known, fiercely loved or hated story that you like and make a funny version of it. One could do a slam piece in the style of an author that tells a story that the chosen author would never tell. Blending these approaches can yield some fun results. Imagine Jack and the Beanstalk told in the style of Kurt Vonnegut or The Three Little Pigs done in the style of Edgar Allen Poe. Who wants to experience Plan 9 From Outer Space written in the style of Dr. Seuss? I do! There are plenty of pre-made story arcs and authors waiting to be spoofed. Spoof your favorites. It’ll be a blast. I still don’t have an idea. Do something autobiographical. Some of the best stories come directly from real life. One time, I ate a hummingbird without realizing it. My friends think it’s one of my funniest stories, and I did exactly nothing to make it up. I just tell the truth of that story and get laughs that I feel like I didn’t earn. Every human on Earth has a life that is fully saturated with potential material for comedy. If you have weird dreams, write down some of the things that happen in your dreams. Surrealism is a valid and established art movement. DUDE! I AM STILL DEVOID OF IDEAS! Take your inner judgement, crumple it up, and throw it into a dumpster fire. OK, good. Now read this section again. Thank you. OK, you have your idea. Make your plot, it’s a list of things that need to happen in your story. Once you have your plot written down as a list, write out all of the dialogue and the bare bones of the stage directions. Try to do the whole draft of the entire script in one sitting. Splash down every line from “Lights Up” to “Lights Down”. Try to write faster than you think. Your connections between story points will be loose and clumsy, that’s fine. Hammer it all out. Again, this is a time when your judgement belongs in a dumpster fire. You did it. You have your first draft. Now, read it all the way through. If you have any glaring mistakes feel free to take a few seconds to correct them. You gave it the first read through, excellent. Now, you’re going to read it again. This time, when you get to lines of dialogue read them aloud. Try to make different voices for each of the characters during this second read through. OK, you’ve completed two read throughs of your script. You have found some places where the dialogue needs to be refined and changed. You may have even found some parts where additional stage directions are needed. This is great, because you’re ready for your sensational second draft. The crafting of the second draft is when you are allowed to reinstall your judgement. This is when you take your rough, loose, and dangly idea and sand down those rough edges. All of that wonderful detail work that you like to do will be done here and now. Find the plot holes and fill them. Find lines that could use more punch and punch them up. As you do this, I recommend that you do this with one of your collaborators. Another person in the room can be of great help. Try to collaborate with someone who is smarter than you. I do this often. They can be a wealth of knowledge to enrich your revised script as well as a person who can catch errors. While you and your creative partner revise the script pay extra attention to the details in the dialogue. Make things specific when you can. For example, my character is not “going to the zoo”. My character is going to “Crazy Carl’s Discount Zoo and Tire Shop”. Those specific details can bring additional comedy to your slam script. Something to consider in the realm of comedy is using the rule of three. Three is a natural number in comedy. The story has three parts: the beginning, the middle, and the end. A joke is a tiny story: the segue into the topic, the set up, and the punchline. Old folklore uses the number three a lot. Goldilocks encountered three bears. The bridge was crossed by three billy goats named Gruff. How many stooges were there? You get the idea. Having a line, a prop, or a topic return to the story three times can very satisfying for the audience. Make sure that it is heightened emotionally or it has some kind of twist every time your “thing” returns to the story. If you’re feeling like you’re at the next level, some comedians work with the rule of seven. These comedians are very gifted and are able to dream up very inventive ways to make their funny thing get funnier each of the seven times that it returns. Watch Tim Conway in some of the old Carol Burnett sketches, he put the rule of seven to use a number of times on that show. How do I use this rule of three? Here’s an example. Robot Monkey tries to steal an apple, but he is stopped by the Grocer. Without being seen Robot Duck steals an apple as the Grocer’s back is turned. The Grocer turns his back on Robot Monkey. So, Robot Monkey attempts to steal an apple a second time. The Grocer turns again and catches Robot Monkey. As the Grocer faces Robot Monkey, Robot Kangaroo jumps in and steals an apple. The Grocer then turns his back on Robot Monkey to stock shelves. Robot Monkey attempts to steal an apple for the third time. The Grocer catches him, and as he does Robot Tyrannosaurus takes an apple making a lot of noise. The grocer sees Robot Tyrannosaurus. Robot Tyrannosaurus turns to run away, and his tail knocks over the apple display. Apples roll all about the floor. The Grocer is flabbergasted. During the commotion, Robot Monkey picks up an apple from the ground and leaves. The End. Now, if you want to be extra fancy and have people go bonkers for your writing do at least one of the following two things within your script. Have a character go through a change, the more difficult the change, the better. Or, make sure that your script communicates a powerful moral to the audience, the more true it is to your personal belief system, the better. Also, as you and your partner revise, start casting the piece. Imagine who will play what character. Make a list of characters, necessary props, and scenery. Less is more. Whatever you have in your show will no doubt be beautifully crafted and leave a lasting impact on the minds of your audience members. However, make sure that you keep it to a minimum. The less stuff you have means an easier set up and break down. It also means less repairs. And, it gives more of the spotlight and focus to the things that truly count and are absolutely necessary to the story. Adopting the Less-is-More attitude will keep away extraneous clutter and make your piece easy for the audience to watch. 4. Is There Even Such a Thing as the Final Copy? So, now you have your final copy. Keep your judgement with you, because now it’s time to do a little formatting. This is the least fun part of the process. Any play script that you may have received from Samuel French has the correct format for a play that has been published. Unpublished plays have a different look to them. I’m assuming that the puppet slam script hasn’t been published yet, because I’m also assuming that you’re not a time wizard. In a play script that has not been published, the stage directions are left justified like most of the words that you’re reading in this article. The dialogue, however, is center justified with the character’s name appearing in all caps above the line that the character says. It looks a little bit like this. Ext. Mount Rushmore National Park. The Four Gray Presidential Portraits of Mount Rushmore sit at Center Stage. A tour guide from off stage hums a few bars of “Yankee Doodle”. I am appalled! Most of the people looking at us only know one language! One language is all you need. Why are you hoarding languages? Hoarding is like bad for your brain, man. Hoarding! I love hoarding! Tomorrow, I want to hoard some cattle! Yeehaw! Think of the script as a set of instructions on how to mount the production that you have played out in your imagination. If there’s a line in the script that does not help instruct your collaborators on how to stage your story then cut it. Don’t be afraid of having a short script. Some of my most impactful puppet slam scripts were only four or five pages. Also, don’t panic if you end up with a twelve page script. However, if your page count goes above twelve, you probably have cuts to make, because you don’t want your act to hog too much of the puppet slam’s overall run time. Be as sparse as possible in the stage directions. Remember, the script is a set of instructions. Save page space and agony by making sure that your stage directions are direct. Keep it all as efficient as possible while still being understandable. Also, here is some basic knowledge that you need to have. You might know this already, but I’m going to cover it just in case. Center Stage is the center of the stage. Off Stage is off of the stage. Stage Left is the performers’ left. Stage Right is the performers’ right. Down Stage is closer to the audience. Up Stage is further from the audience. These directions can be used in combinations such as Up Stage Right, Down Center Stage, Down Stage Left, etc. Also, when a character moves from one part of the stage to another, that’s a cross. When someone steps into the scene, that’s an entrance. When some leaves the scene, that’s an exit. Take a look at this example. DOUG rolls cigars at Center Stage. MYRTLE enters from Stage Right and Crosses to Center Stage. Doug, there was a cigar on the floor in the restroom. Pick it up and put it on the shelf. We can’t afford to waste good cigars. That’s disgusting. I’m leaving you! MYRTLE Crosses to Up Stage Left. Fine! Get out of here! You never appreciated my sensational cigar business. Your cigars look like pieces of business! MYRTLE Exits Up Stage Left. OK, good, now I feel better. Let’s move on. Now, your script is ready to rock. Give it a cover page with the title underlined right smack in the middle of the page. Bylines go under the title. The bottom left corner gets the ©, name of the © owner, and the current year. Some theaters like to have this cover page, because it helps them keep things organized. The production and hosting of a puppet slam involves a lot of moving parts and chaos. The more organization that you can offer, the better. So, add that title page. 5. Yes, You’re Great. Now, What Are We Doing for the Next Puppet Slam? Now, I’m going to assume that you’ve built puppets, props, and scenery, and that you’ve performed the script that you just wrote in front of a live audience. After the performance or performances, you’ve learned a few things. You learned what works, what doesn’t work, and you learned that not every crowd laughs at the same moments, that is if the slam had more than one performance. This is great. Now you’re refining your comedic voice. This information can help guide you on your next script. However, don’t let it overly guide you, because your next script is going to be something very different from your first one. Yes, don’t do the sequel or the next episode that compliments your first piece right away. That’s for later. Now is the time to show your versatility. If you choose to do a completely different approach to writing your second script, I applaud you, do it. However, you can do a similar approach, just change the genre, characters, etc. In my life as a puppet slam writer, my first script was a spoof of Apocalypse Now told by a drunk wood shop teacher. My second script was an adventure / horror story told in the setting of a trailer park. I used the wood shop teacher character as the narrator again, because the performer who played him riled up the audience pretty well, and I loved it. I went from a combat story to an adventure / horror story. I stuck with the fractured fairytale mode for a couple of months there. So, I did a similar approach, however my main characters and settings were completely different. I’m happy that I did that, because It pushed our design, and building skills. It also pushed us as performers. My third script was good but kind of bland because I did a horror / sci-fi spoof with the wood shop teacher narrating again. We got laughs, but they were lighter laughs. We had similar characters and there was only one thing that was very different from my second piece, a talking marshmallow. Outside of that, it was a trip down the trail of “Tommy’s Same-Old Stuff”. I was boring myself already at my third script. So, my fourth piece was a big divergence. I slightly based it on a dream that I had, and I didn’t use the wood shop teacher for that one. It was very surreal and meta. We really had to grow as creators to make that piece come to life. The audience received it very well. Our contemporaries also loved it. That piece was done over fifteen years ago, and I still hear about how well people liked it. We took a big gamble, and we luckily got a great pay out. The bigger changes early on led to bigger artistic growth. The smaller changes led to smaller growth, and a smaller audience response. However, it was better than no growth at all. So, even if you have to do something similar to make a harsh deadline, do so, because it is better to create than to not create. That said, if you play small, you win small. If you are relatively new to the puppet slam scene, you definitely want to diversify your repertoire now. It will pay off later. Plain and simple. Learn what works, and what doesn’t work by playing in front of an audience. Let that new knowledge just lightly guide you as you experiment and create new work. Once you have created about a half dozen scripts that you are happy with, you will then truly be in touch with your comedic voice. You will know what your comedic journey is all about, and that will be the knowledge that heavily guides your future writing. Get to work! Take a look at the first section again, and see if there’s another approach to story that speaks to you. You never know. Gambling on a new story approach might yield results that will surprise you as you even as you are writing it. That feeling of being just a channel for creativity can be very freeing. 6. Building Your Raucous Repertoire Will Pay Off Later. My creative partner, Dain Q. Gore, and I are very lucky. We have created a large body of work, we have numerous puppets, props, scripts, and pieces of scenery that we can use at a moment’s notice. Since, we have this wide repertoire at our disposal, we have inadvertently created some minor franchises. This is in contrast to the advice that I gave for your early career. Once, you’ve built a large and diverse body of work, start adding the episodes and sequels to make hitting deadlines an easier task. Aren’t you glad that you laid that foundation now? I am. Now, we can do sequels, and long unseen reruns while still maintaining a diverse line up of show styles. Yes, we have the ability to easily put on another fractured Bible story, another conversation amongst the Mount Rushmore Presidents, another surreal journey with the man who lives in an egg shell, or another story that takes place at Zombie Dave’s Art School. And, we do other things as well. However, if the rest of our stories only took place within those four franchises, we would still have a wide reach across multiple genres. So, build a raucous repertoire full of genres and characters that you love. Make your franchises very different from one another so that you don’t seem like you’re repeating yourself too much. 7. If You Want Interest, You Have to be Interested and Interesting. So, generating new franchises requires an inquisitive mind. Building your audience is difficult when you’re boring. So, be interesting. How do you that? Be interested. My creative partner, Dain Q. Gore, is deep in the fine art world, he paints like a champion. He loves painting miniatures, and he innovates within the world of painting. Dain may actually end up being in art history books for the way he pushes for painting to evolve. He does cut outs and three-dimensional (yet flat) collage with his paintings. He is super interesting. I’m interested in improv comedy, comic books, animation, and motion comics. Hopefully, that makes me interesting. Also, it helps to be interested in your audience, the more that you get to know them, the more invested that they get into you and your work. If you’re interesting, it’s easy to publicize you and your work. If you’re interested, then you won’t have trouble coming up with ideas for new scripts. Be a creator both in art and in life. When you do that, you’re a success no matter how many times you “fail”. Fred isn't the only one that creates Derpy Superheroes. I've been doing that for decades. I have taken to Youtube to share these characters. 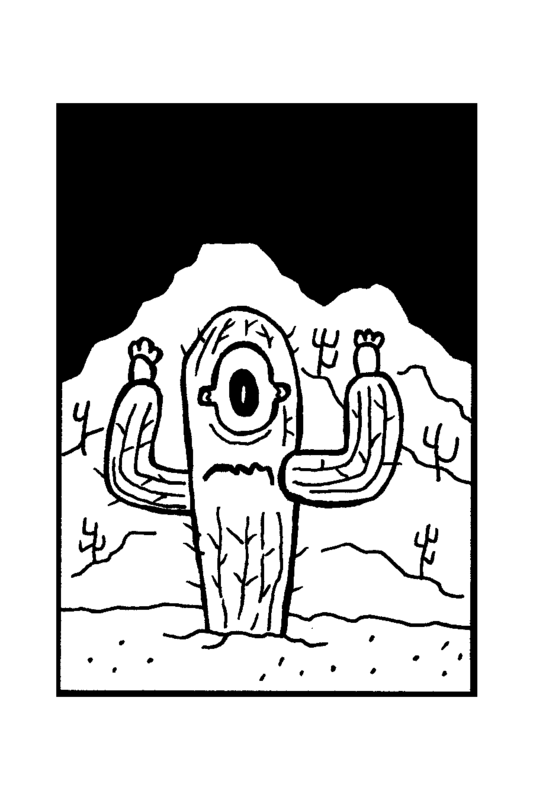 A lot of them so far have appeared in Fred's Webtoons story. However, I have way more derpy superhero characters that haven't been featured in that story. Trust me, I am filled with an amazing amount of stupid ideas. Click the link below to find my Youtube channel to see those videos. They aren't really educational videos in art, they're more like encouragement videos that are meant to inspire people to start drawing. So, click away and watch my madness! 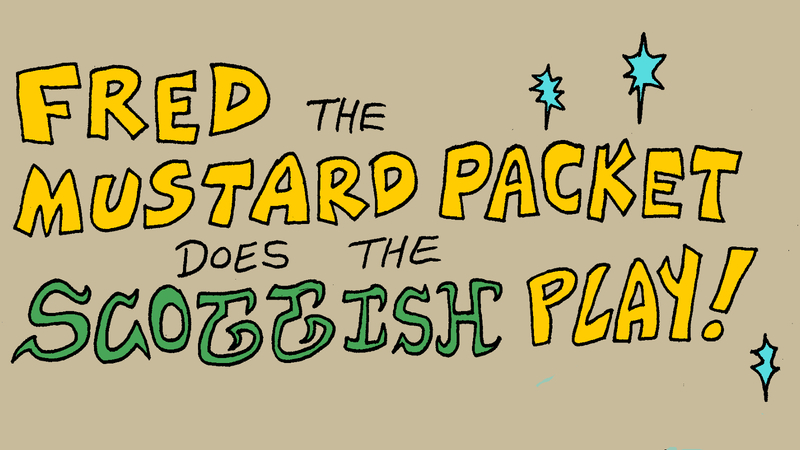 Sign up for the Tommy Cannon mailing list to with the above form to learn about the future of Fred the Mustard Packet and my crazy Youtube videos. Sign up for the Tommy Cannon mailing list before Friday Nov. 16, 2018 and you will receive a nice digital prize. This one's a doozy. Those of you who are already subscribed, thank you. You will also receive said prize. 2019 approaches. On the surface, it appears as if that year I will only be doing two gag comics per week. There will be one for Fred the Mustard Packet and one for Dr. Zombie. That reduced output will leave me loads of time for planning, dreaming, and scheming. In fact, I have already been planning, dreaming, and scheming a little bit. I do suffer from an abundance of ideas. So, voice your opinion. Would you like to see an action / adventure comic from me? Do you want to want me to share my vision for sci-fi? Do, you want me to dive into the realm of superheroes? Would you like me to go fully surreal with my comics? Or, do you really like that gag o' week stuff? Please, let me know in the comments. What does my audience want the most? 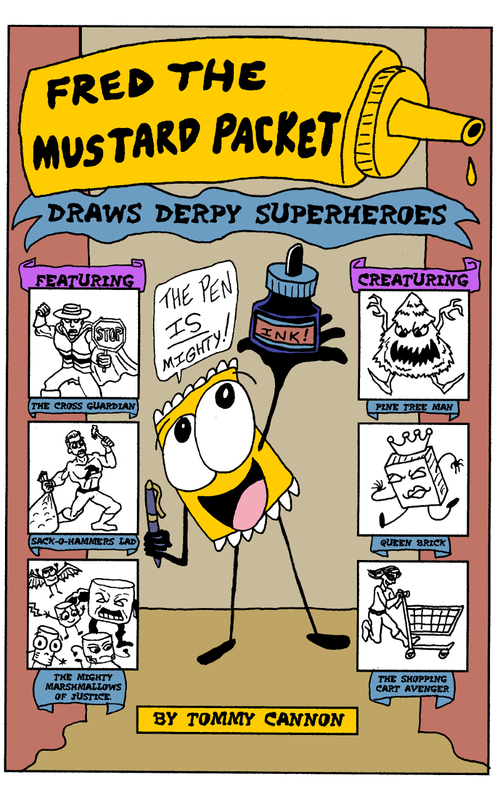 This December, Fred the Mustard Packet's derpy superheroes story will be concluding. 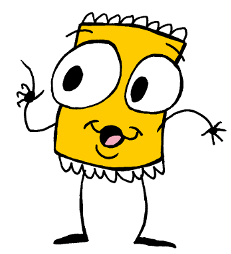 So, in 2019 Fred will be returning to his original form. It will be a gag o' week comic again. We will be enjoying Friday's Fred throughout 2019 and possibly beyond. It's great because, we will get great moments in comedy as depicted with the cartoon at the top. Fill out the form below if you want to be on the super cool Tommy Cannon email list. You'll stay up to date on all Fred news. If you're subscribed by the end of today, you will get a free digital goody. Thank you. A number years ago, I wanted to be a late night monster movie host. I wanted to be the Crypt Keeper or SvenGhoulie. I wanted to combine my love of crazy comedy and genre cinema. I saw a hole in the Phoenix creative market. No one was doing this at the time in Maricopa county. I sought to fill that hole. Dr. Zombie was born. Dr. Zombie first saw the dark of night on Halloween of 2009. I used him as the persona that I would embody to host live screenings of black and white “B” level sci-fi and horror films of the 1950 and 1960s. I did this with my good friends Steph Carrico and JRC of The Trunk Space, when it was on Grand Ave. For a couple of years, I hosted public domain schlock primarily at The Trunk Space. My personal favorite night at that glorious space was when I hosted a film near Halloween, they had a pumpkin carving contest, and the sensationally macabre one-man band The Slow Poisoner opened the show. The weeks leading up to it JRC and Steph really did some fun creative promotion in designing a series of flyers with silhouettes of pumpkins, me, and The Slow Poisoner. Downtown Phoenix was covered with these flyers. There was excitement in the air. I still get chills thinking the fun we had that night and the promotion we did the weeks leading up to it. In 2011, The Phoenix New Times gave the Best of Phoenix Award to Dr. Zombie for Best Horror Movie Show. No doubt, the New Times writer that bestowed the award on Dr. Zombie was in attendance at the Trunk Space on that magic night. Later that year, some film programmers took on a similar mantle. They hosted midnight schlock under the guise of a mad scientist host. A couple of my friends were upset about it. I respect their feelings, however, I didn’t feel anger about it. They’re film programmers. Film is one hundred percent of what they do as creative people. I do more. Comics, improv comedy, stand up comedy, writing, etc. So, Dr. Zombie became a character for all of those things and more. 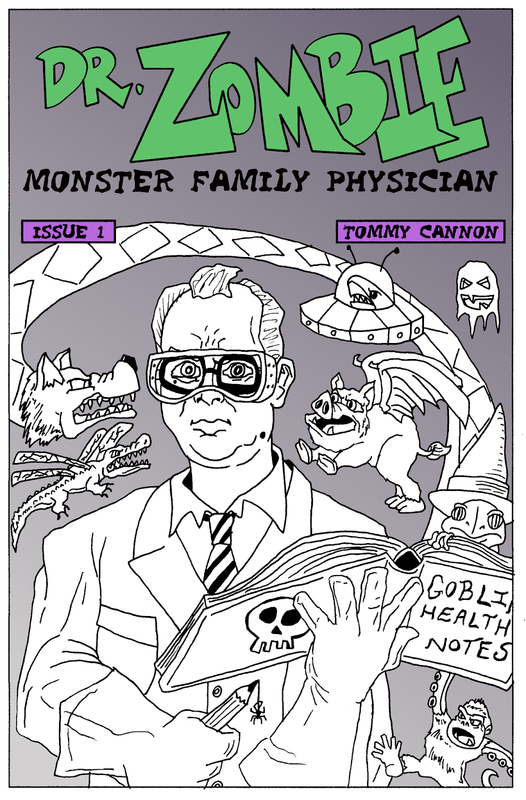 I wrote Dr. Zombie’s “Horror-Scopes” for the Trunk Space’s ‘Slide Rule’ zine. I did fake comedic radio plays with my friends as Dr. Zombie. I revived my stand comedy routine taking the stage as Dr. Zombie. 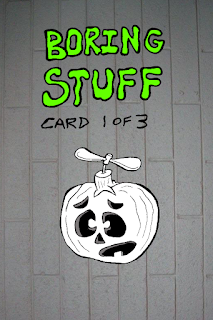 I even designed a Dr. Zombie card game, which led to a Dr. Zombie fine art show. I did host one last movie in October of 2016 at Super Saver Cinemas as Dr. Zombie as a final celebration of what brought him into being. However, let’s talk comics. Dr. Zombie is perfect for comics. You can get a comic book of Dr. Zombie’s twisted tales for your Kindle right now even. But, we are doing different comics now. 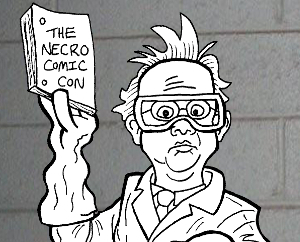 Yes, the gag-a-week comic is now in Dr. Zombie’s lab. Like a fool, I have recently been trying to contact Rob Liefeld about making his “Shrink” comics into a calendar. I loved the idea of a psychologist treating a different superhero each month. But, he’s promoting things these days. Go figure. “Shrink” belongs to Mr. Liefeld, but the concept of a genre comic in the gag-a-week format can belong to everyone. So, that’s what I’m doing. I’m smashing sci-fi, horror, and the gag-a-week format together to create “Dr. Zombie: Monster Family Physician”. The concept is that he’s a monster family physician, because the mad science lab doesn’t pay much and he has to a do a day job to fund his passion. 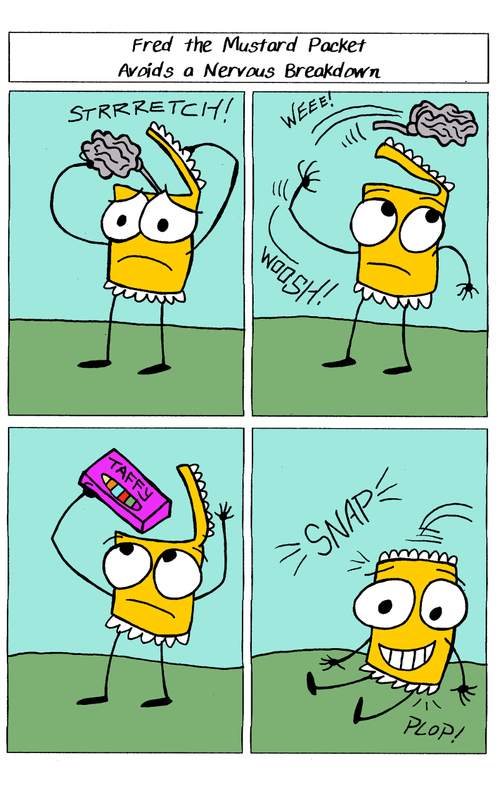 I hope you enjoy this bizarre journey of cartooning and comedy. 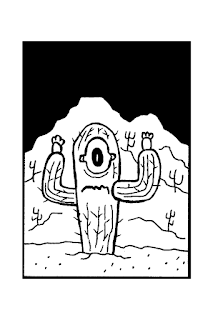 Check out the above link to see those monstrous comics. Here it is. I'm pretty happy with it. The "T" was modified. I was able to convert the text to a brush stroke in the graphic program and I slimmed it down. And, I added the "C" Monster! I like this "C" Monster because of the serif it has this triceratops/ rhino feel to it. So it is only three colors, but it communicates a lot about me. 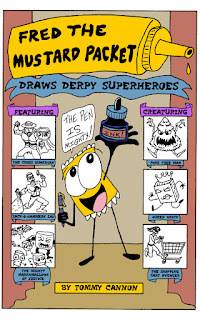 The mustard packet, the monster, the snow cone party font all combine to tell my story as an artist. It's bright, bizarre, and I love it. Thank you for joining me on this journey. 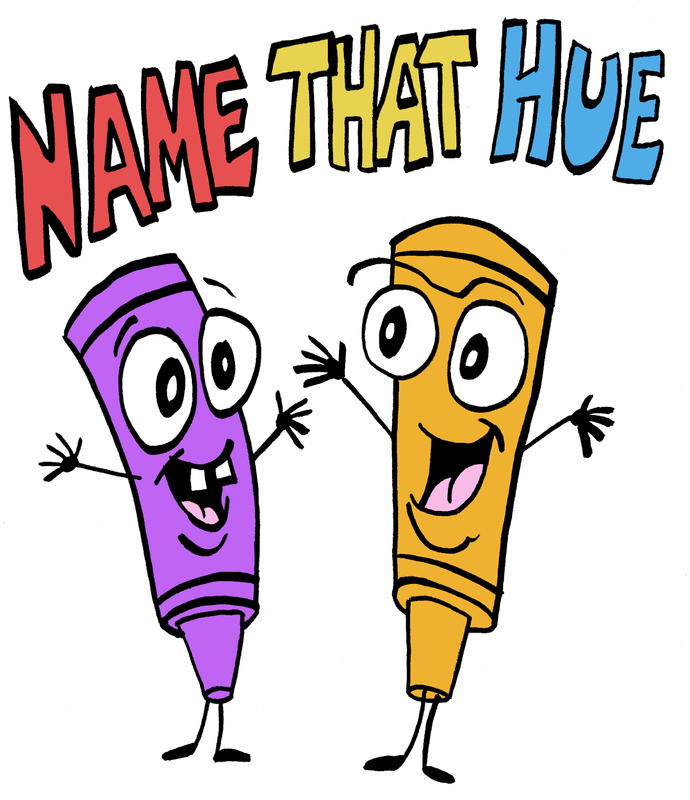 So, as I build my new logo, I chose to use Fred's yellow. That's it just above. So, here it is so far. 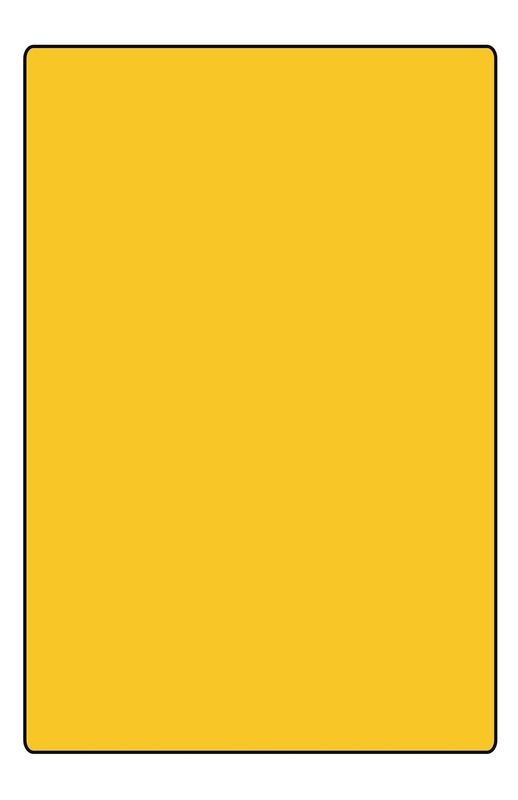 I made the whole thing look like a mustard packet for Fred. I used my home made Snow Cone Party font to give it a fun feeling. Now, I might turn the 'C' into another 'C' monster. I might leave it as it is. Let me know what you think of this logo. Thanks, everybody! There's the logo that I'm currently using, but it should change. Sure, I love the colors and the idea of the "C" monster. 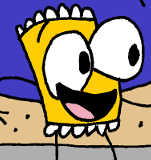 However, my favorite and most well known creation is this guy. He has a new book. 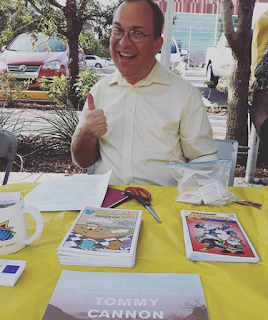 Aaron Johnson of Lawn Gnome Publishing (who handled that beast of a book like a champ) took the photo below. So, a change in the logo might be necessary. The color yellow seems to be important here. I'll keep you updated as the logo transforms. PS- Keeping up with all of my art stuff can be difficult. I want to make it easy with our boss awesome email list! Fill out the form below if you want to be on that sweet, sweet Tommy Cannon email list. Also, if you want to keep up with all of my comedy performances and my comics, I'm starting an email list! Better late than never. Fill out the form below if you want to be on the boss awesome Tommy Cannon email list. Check out the above post to see what designs look like in a graphic design program. Also, if you want to keep up with all of my comics and comedy stuff, I'm starting an email list!!!!! Woohoo! I'm only 20 years late to that party! Fill out the form below if you want to be on Tommy Cannon email list. It's not a boring game, but every game has some boring stuff to go through. 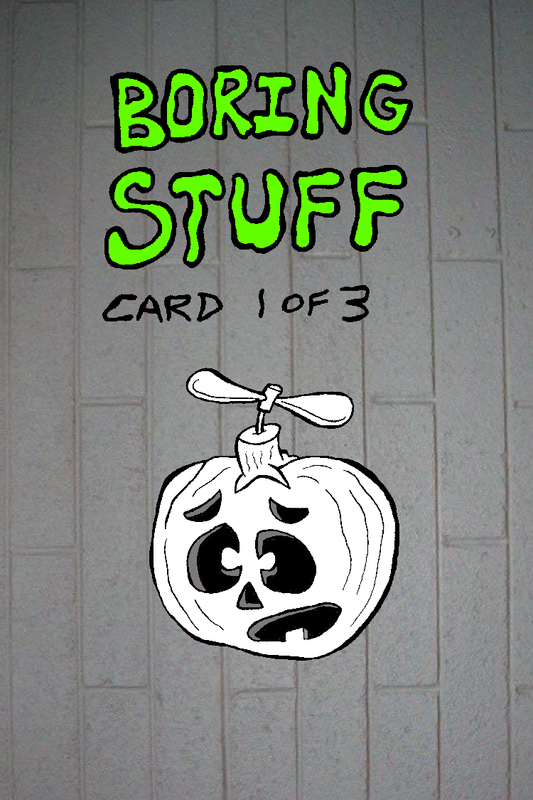 Check out the above link for the Halloweeniest game in all the land!!! Some of my favorite drawings have been landing in the comic panels published on the website of The Two Gay Geeks. 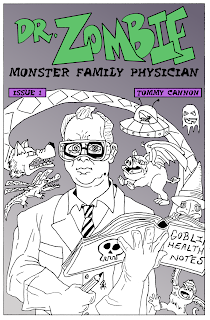 I'm doing a comic feature called Dr. Zombie: Monster Family Physician. I'm loving it. Click the link below the image to see one of my favorite pieces that I created for it. I'm proud of this work and I'm proud to be a TGGEEKS.com contributor. Let the world know how much you love our latest motion comic, The Ice Cream Pirates! This year, ToMoCoBo is going to be amazing. We know this already, and we've only locked down about 25% of the program!!! 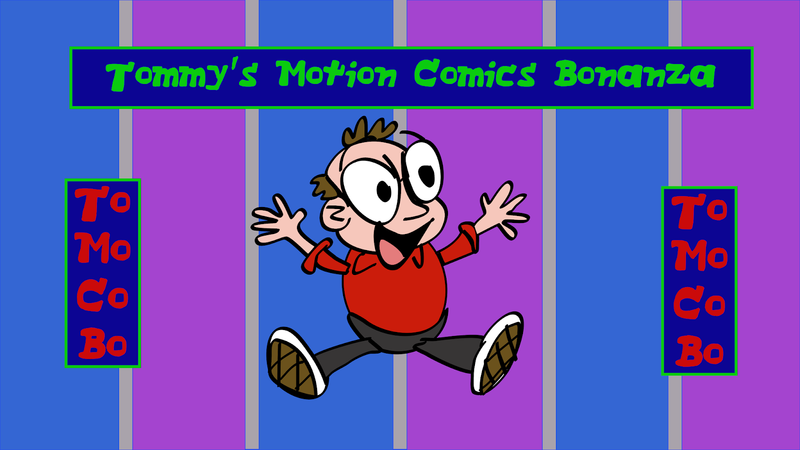 Like last year, we will have excellent family friendly motion comics to screen. 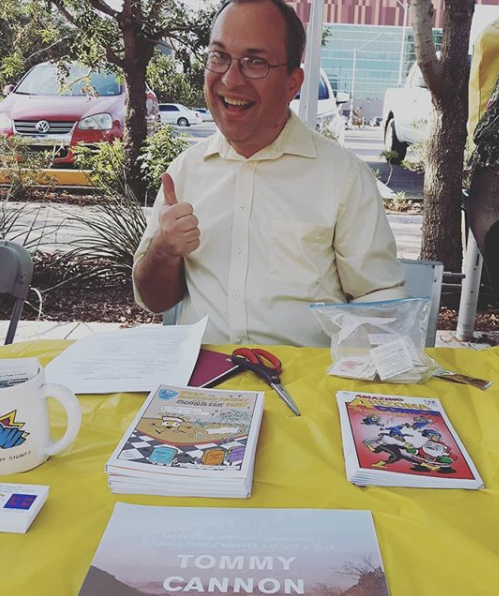 And, if you love music, comedy, improv, superheroes, water color art, and art made by people who work for the mouse house (wink, wink) then you will love this experience. I'll be busting out this game on my Art students soon. I think that it is important to name colors, because it helps you see nuance in colors. And, when you see them, you can more effectively use them. Hey, do you want a copy of the game check out the link below. You know you want these Grump Trump digital stickers!! !